Turkey Turkey everywhere but which is the best? Basted – Basted or pre-basted can mean it’s been injected with fat & salt ! beware and read the label! How big a Turkey do I need? for a quick calculation allow a minimum of 1lb per person, more if your hoping for lots of leftovers for additional meals e.g. cold turkey sandwiches on Boxing Day or Turkey Curry! Does size matter! – Do you need one massive Turkey or would two smaller turkey’s be better and easier? Smaller turkeys will cook much more quickly than one huge Turkey and will usually end up being more moist as haven’t been in the oven for as long as a big turkey. Is the fridge/oven big enough for your huge turkey!! Christmas Turkey – the traditional meal of choice served on Christmas Day along with all the trimmings, cocktail sausages, pigs in blankets (sausages wrapped in bacon), sage & onion stuffing or chestnut stuffing, sausagemeat stuffing or my favourite sausagemeat balls, accompanied by veg, Brussels sprouts, roast potatoes, roasted parsnips, carrot & turnip, peas or other veg and gravy, not forgetting the cranberry sauce and/or bread sauce. Turkey Dogs – Copas Turkey’s round up the Free Range Turkey’s at dusk with 2 farm sheep turkey dogs! Stuffing – Cook your stuffing separately from the bird its much safer as stuffing the bird can prevent the core of the bird cooking properly, you can still add some meat juices from the roasting tin for flavour. Hope to do some stuffing recipes soon including if your lucky, Mum’s superb Sausagemeat ball’s! Place your turkey or turkey crown in an oven pre-heated to 230°C/450°F/Gas 8. Cook at this temperature for the first 30 mins (or for the first hour for birds over 5kg) and then lower the oven temperature to 190°C/375°F/Gas 5. Total cooking time will be approximately 30-35 mins per kg. Please see table below. About half an hour before the full cooking time, remove foil and turn the bird over so the breast bronzes. Carving the Turkey – Remove turkey from roasting tray & allow to stand in a warm place for 15-30 minutes prior to carving. Alternatively remove the whole breast by sliding the knife down the breast bone and then carve the breast into slices, serve on plate with gravy poured over the top…. Turkey Jokes – maybe not! 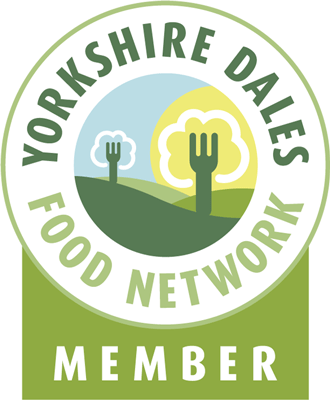 This entry was posted in Eating, Food, New Products, Turkey, Yorkshire Dales Food and tagged boxing day, bronze, Bronze (turkey), carving, christmas, cooking, copas, crown, ethically, free, free range, Free Range Turkey, organic, raised, range, reared, sandwiches, turkey, white, xmas. Bookmark the permalink. 4 Responses to Turkey Turkey everywhere but which is the best? Why do turkeys go “gobble, gobble”? Because they haven’t learned good table manners. What do turkeys like to eat at Christmas? Why did the turkey join a band? Why was the turkey sent to the Headmaster’s office? Peck on someone your own size! Great work Chris – we met at the Social Media talk I did at Bmedi@ – hope the blog is working for you. nice post – again, didnt know there was so much to Turkey!